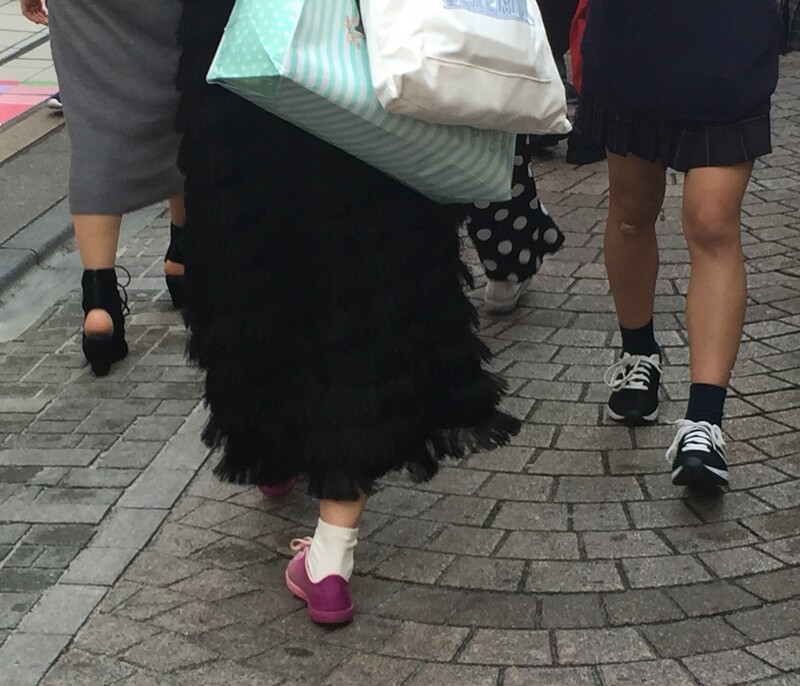 Fashion in Harajuku -Tokyo - Japan | About various things! 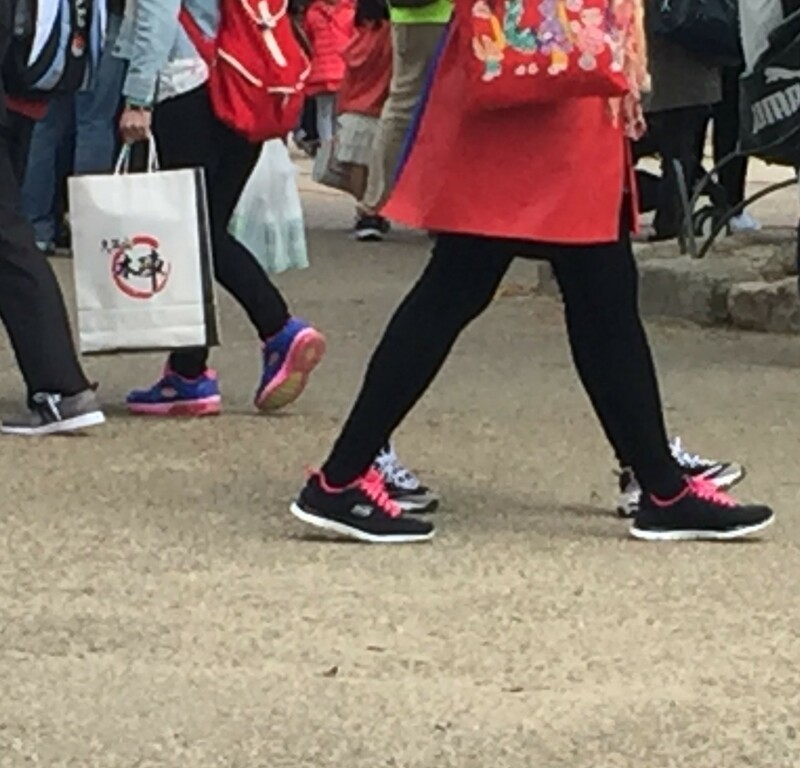 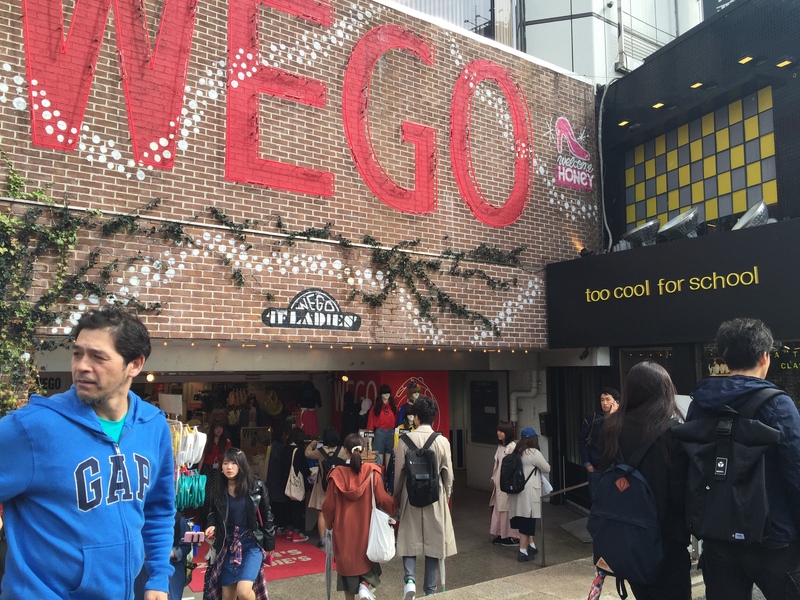 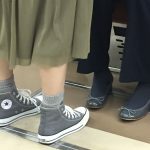 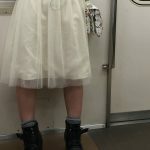 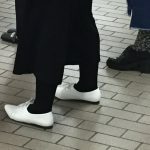 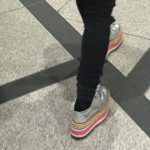 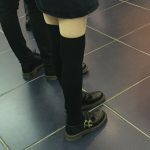 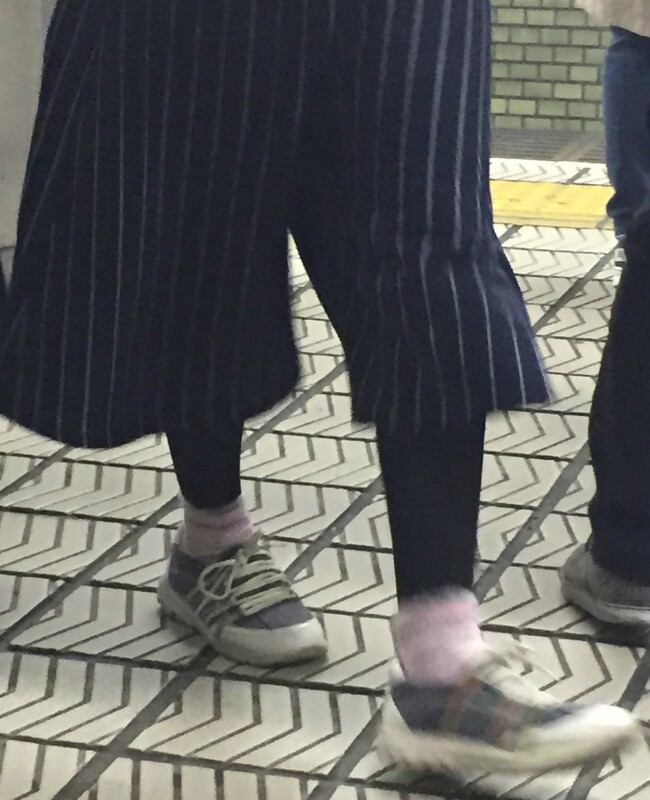 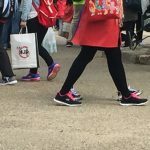 When I started writing on the blog about the days spent in Japan, I promised I would make an article about the street fashion of the Japanese with a direct reference to footwear. 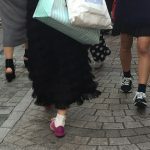 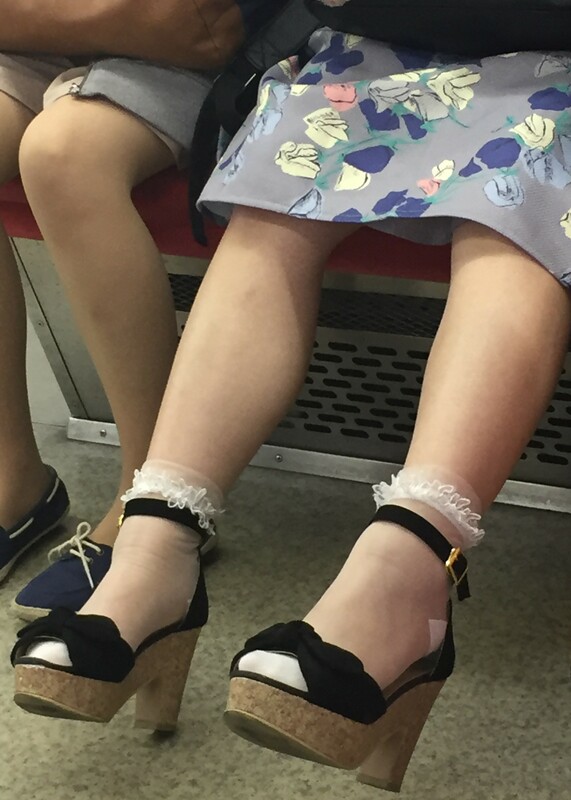 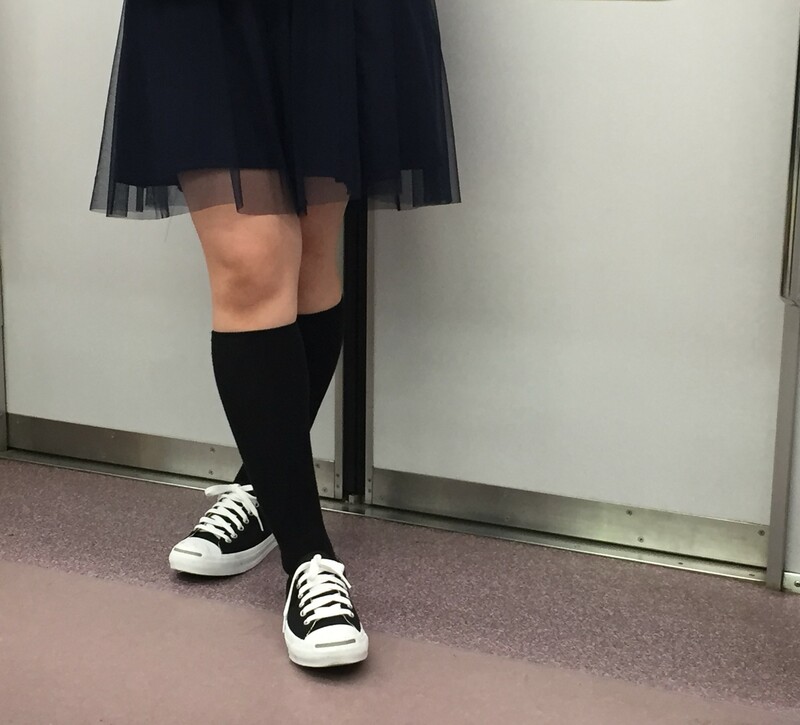 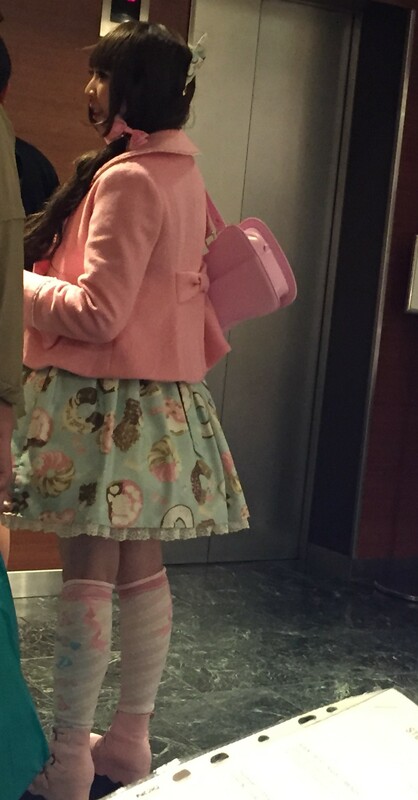 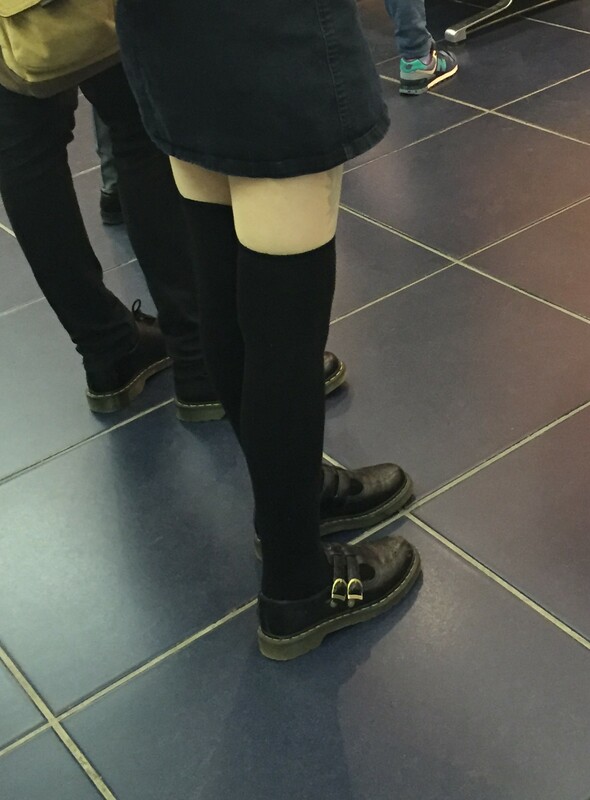 So today I will talk about shoes, in the context of Japanese young people seem to be The most bold people on the planet when it comes to fashion. 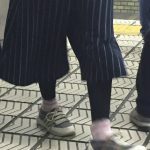 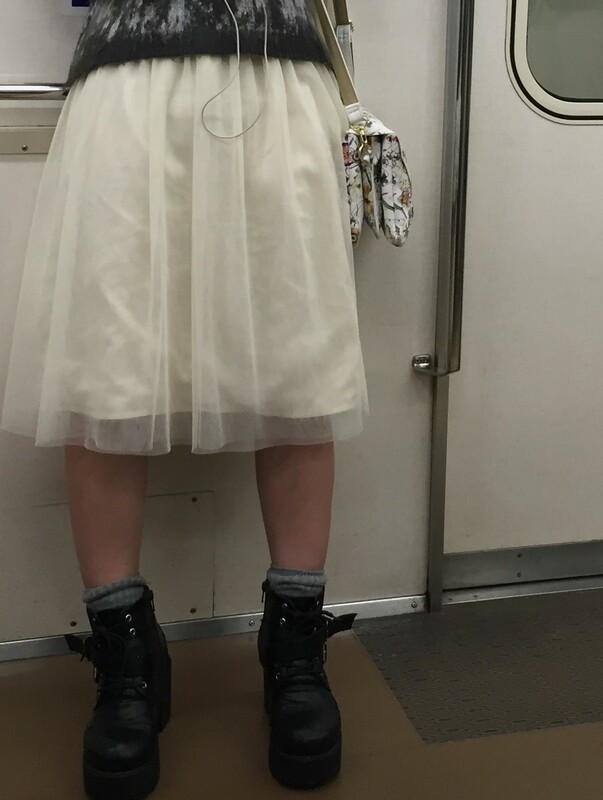 Whether I refer to colorful or transparent clothes, extravagant hairstyles and strident make-ups or high platform shoes, imitating famous cartoon characters, young people in Japan choose to be themselves, inspiring the world through the unique style of street fashion. 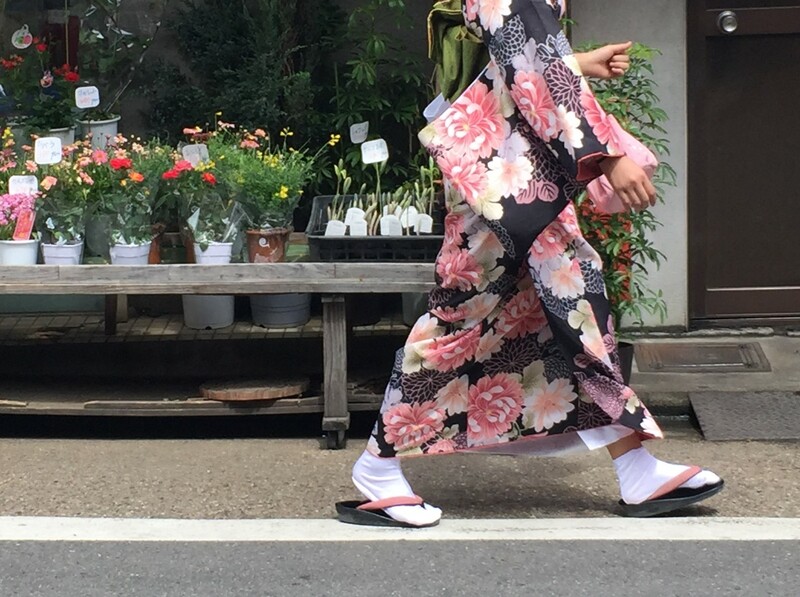 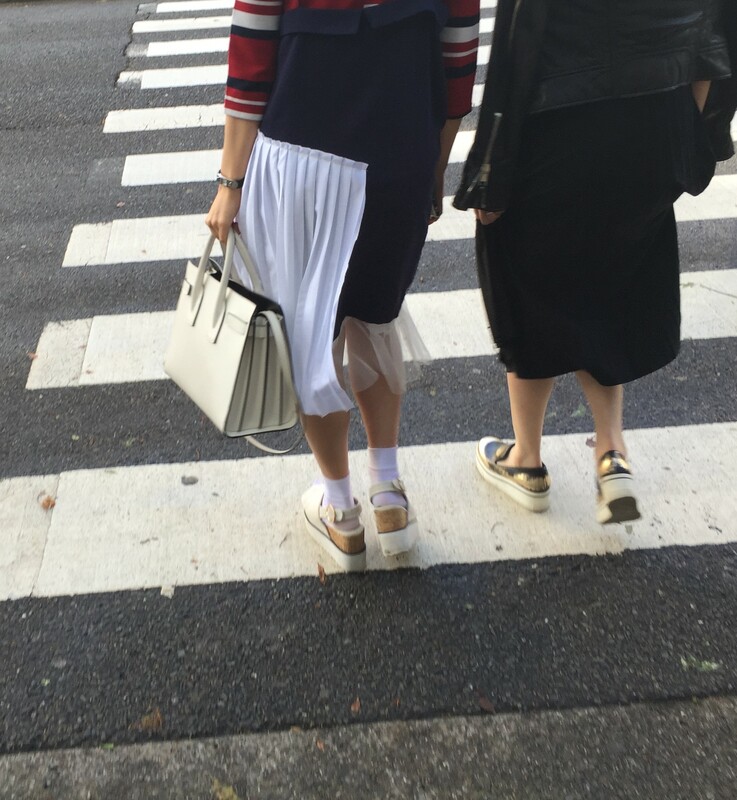 Fashion in Japan has another side too, women dress very well, with clothes bought from the big fashion houses, and the men are quite stylish, some even metrosexual. 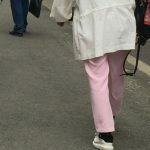 I have seen a lot of men wearing women purses, scarves and pink shoes, but that’s part of their charm because they are different and that fits their style. 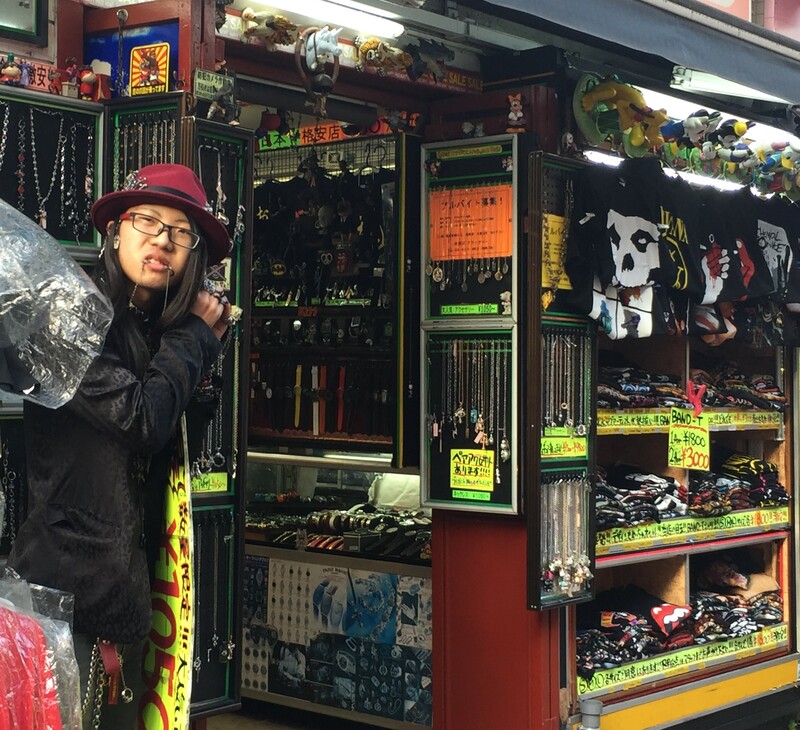 I made this introduction of the desire to induce you the colorful atmosphere of the streets of Tokyo. 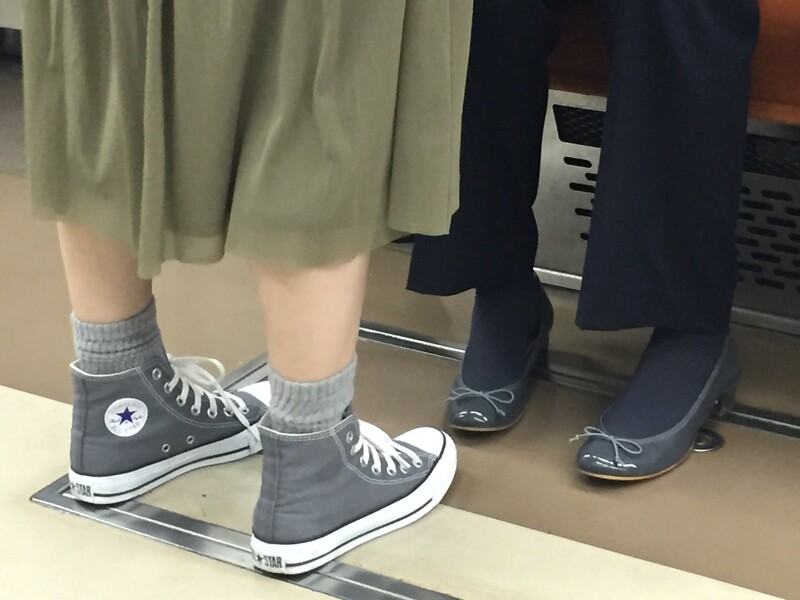 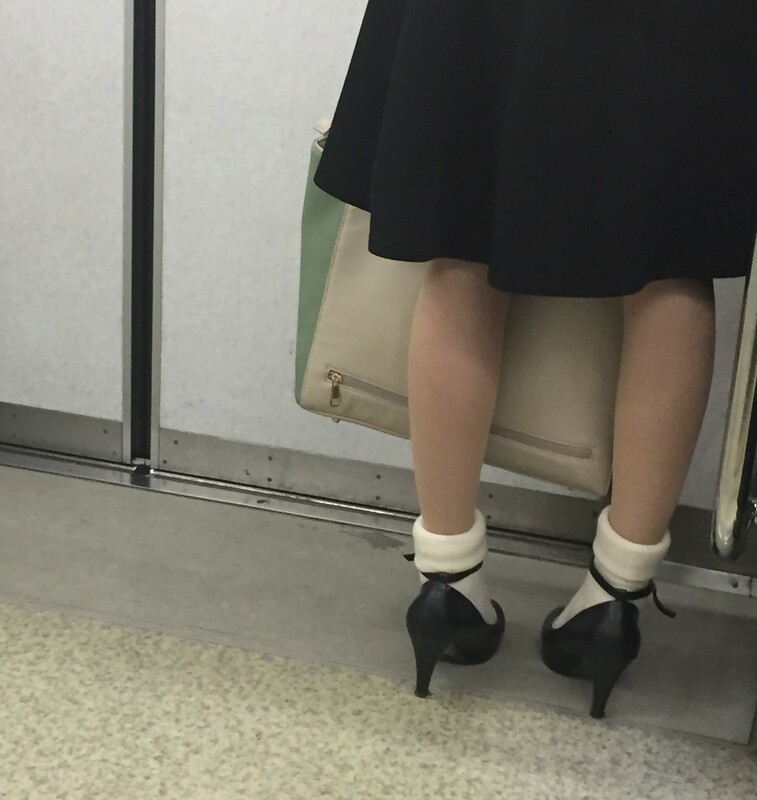 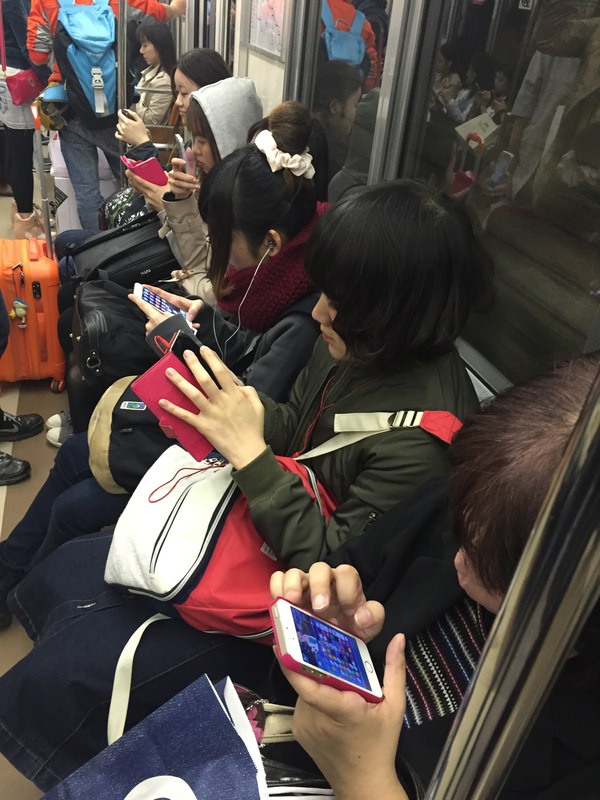 From the early days of arriving in Japan I was fascinated by the women’s shoes. 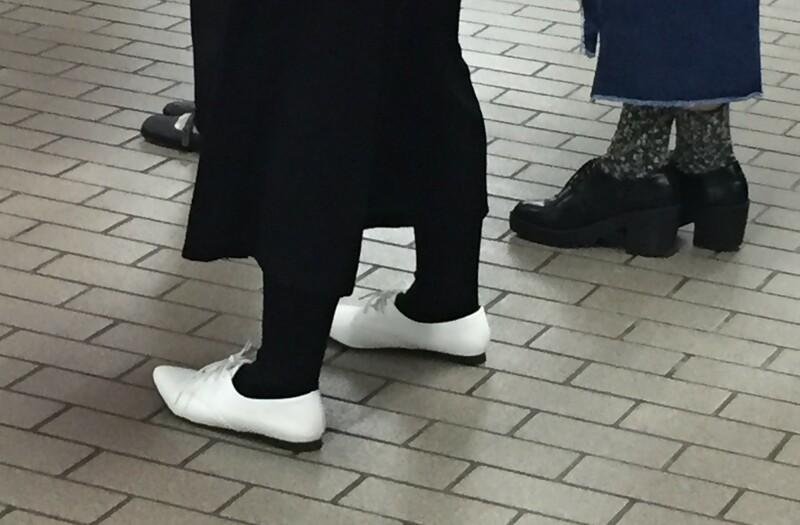 I have admired their sandals with knee-length socks daily, white shoes associated with longer or shorter black stockings, or sports shoes with stylish purses.I was aware that for me, a European at his first time there, the cultural differences are enormous. 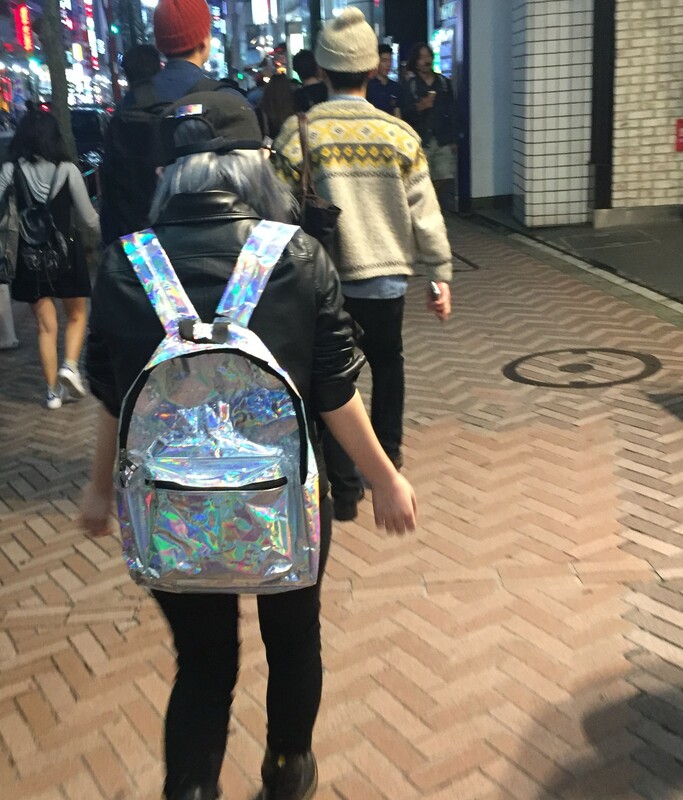 But I enjoyed watching them and admiring their lifestyle. 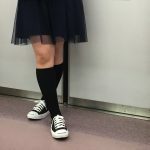 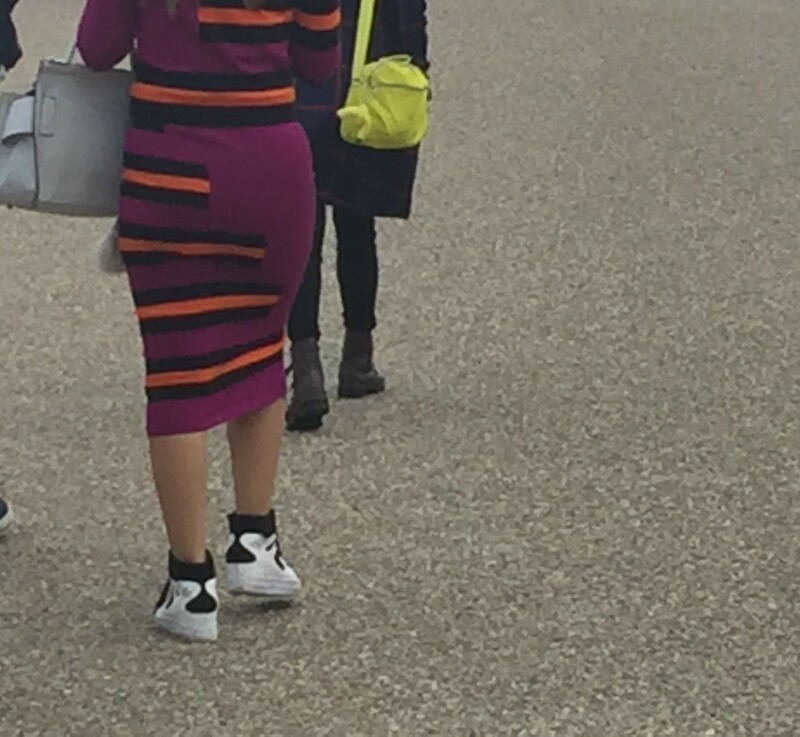 I was there, in the street, with my mouth wide open, waiting for another girl to pass next to me to see what was she wearing… is it bad? 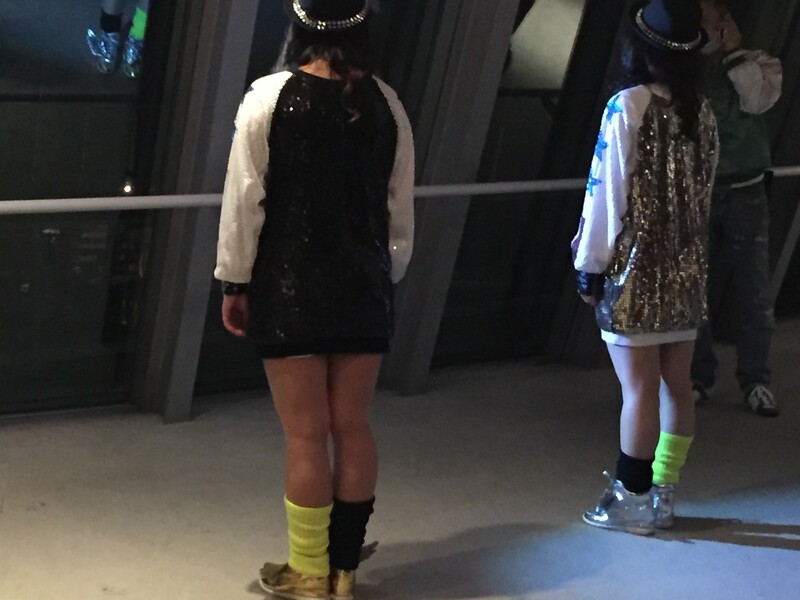 I think so, since I suddenly had the idea of ​​taking pictures of the… shoes they were wearing. 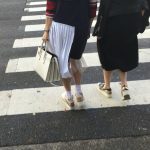 And so I tried to catch pictures with shoes, sneakers, sandals… just that the girls did not stop on the street waiting for me to trigger, so that many of the pictures are unclear, caught in the speed of movement. 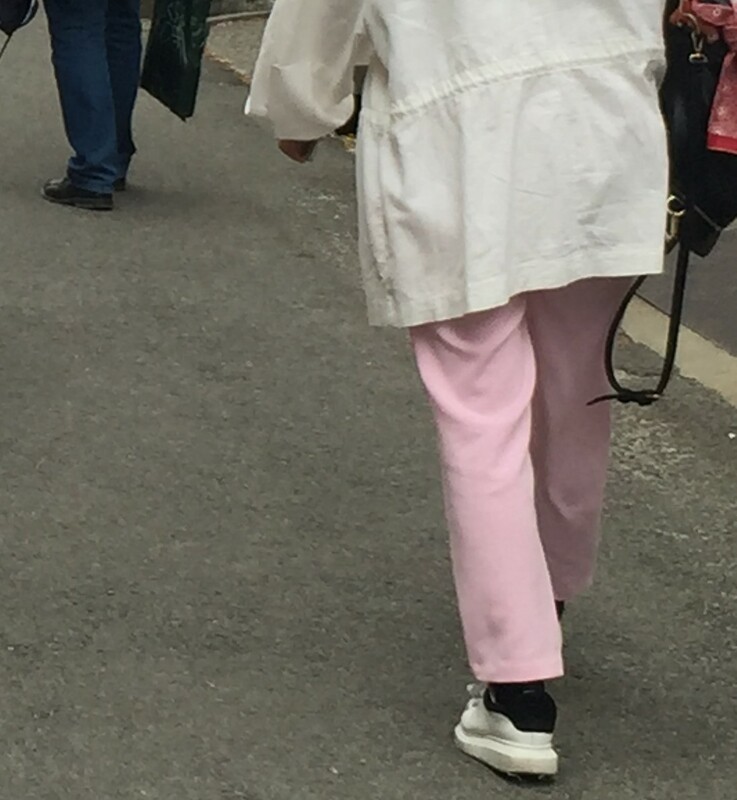 Until next time, I hug you! 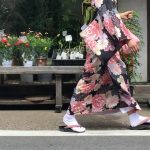 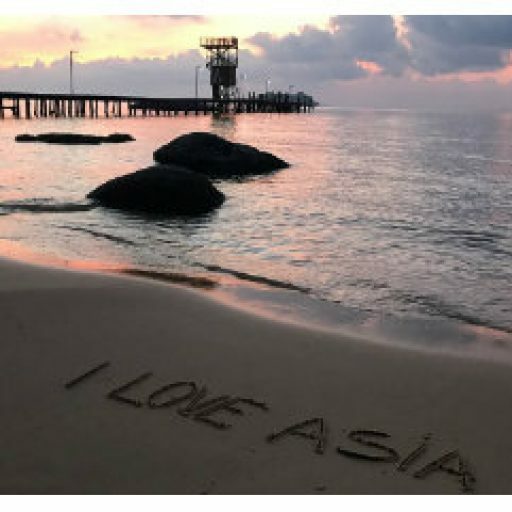 A beautiful vacation in Tokyo, Japan | About various things!